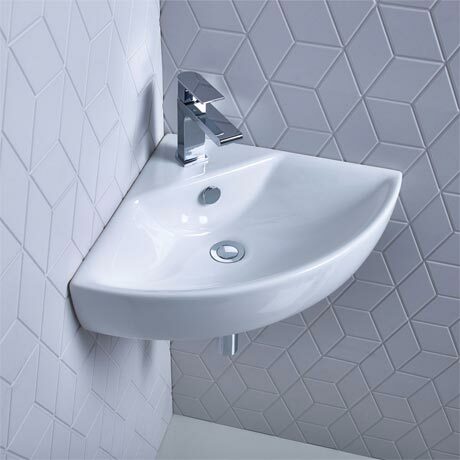 Manufactured from fine fire clay, the space saving Zest 450mm Corner Basin is ideal for a cloakroom or en-suite. Features a single tap hole and integral overflow. Its rounded corners makes it suitable for family bathrooms.